. 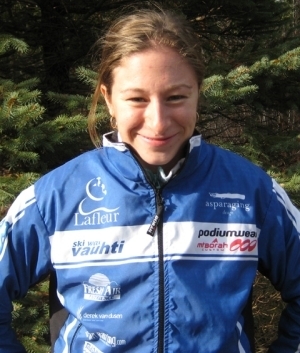 : Anna Geiger-Whitlock :: Ski XCOttawa.ca :: Skiing in Ottawa and Gatineau Park :. 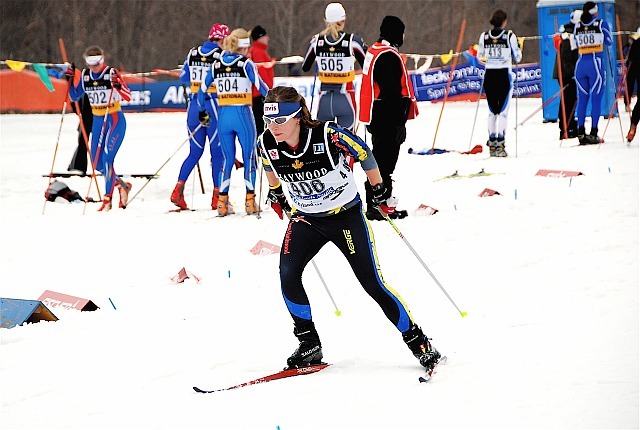 Anna started to ski when she was five and since then much of her life has evolved around it. She grew up skiing in Kitchener and then moved to Barrie for University to be closer to better skiing at Hardwood Ski and Bike. In 2009 she moved to Ottawa and has never had so much fun skiing! After some health issues last season, which meant she only managed two races, Anna is looking forward to getting back into the racing scene in 2011/12. Despite those problems, Anna remained extremely involved in the team last year and was John's wax assistant on many trips. She even took on the challenge of being lead wax tech at one race weekend! Anna also enjoys running, swimming, hiking and traveling. She also loves roller skiing almost as much as real skiing. To fund all of this, Anna works as a nurse at the Civic Hospital as well as going to school for her emergency certificate. 6th Canadian Team at the 2009 Nationals team sprint. 4th place at 2008 Gatineau Loppet 53km classic. 20th Canadian Senior Woman Individual Classic 2009 Nationals. CPL 77 pts and 3 races with 80+ points. Other Pursuits: Nursing, reading, watching movies!